Are you dealing with skin flaws like dark circles around the eyes, puffiness, saggy under-eye skin, and bags? Consider getting PRP for dark circles and you can reverse all these issues. PRP therapy nourishes the skin with a fresh flow of oxygen and nutrient-rich blood that rejuvenates and revives the skin to bring back the glamor quotient of your eyes. Dark circles, raccoon eyes, puffy eyes, bags under the eyes, all of these are issues that plague millions of people across the world. And, PRP for dark circles could be one of the most effective and natural solutions. Should you check features in top magazines like Elle, Cosmopolitan, and Vogue, you’ll find a collection of creams and lotions promising to reverse the problem. Some of them mask the skin flaw while others provide short-term relief. 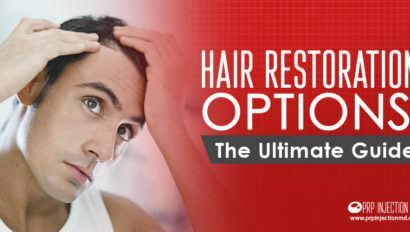 In contrast, PRP therapy helps by healing the root cause of dark circles. And, restoring the glamor quotient of your eyes. Dark circles and puffy eyes are typically associated with aging. These signs also make you look exhausted and stressed. Several factors can contribute to the problem and women are more prone to getting raccoon eyes than men. Here are the typical reasons why you may find yourself struggling with an arsenal of concealers each morning. Some women have a facial structure with naturally deep set eyes, high cheekbones, and full cheeks. As they age and the layer of collagen in the skin starts to wear away, the tear troughs seem to get deeper. With light reflecting off the blood vessels in the thinning under-eye area, the skin seems darker. Aging is, of course, a major cause of dark circles. That’s because in addition to the weakened collagen, the muscles, ligaments, and reserves of fat in the face start to erode. For this reason, you also start to see lines and wrinkles on the corners of the eyes, nasolabial folds, and creases between the brows. 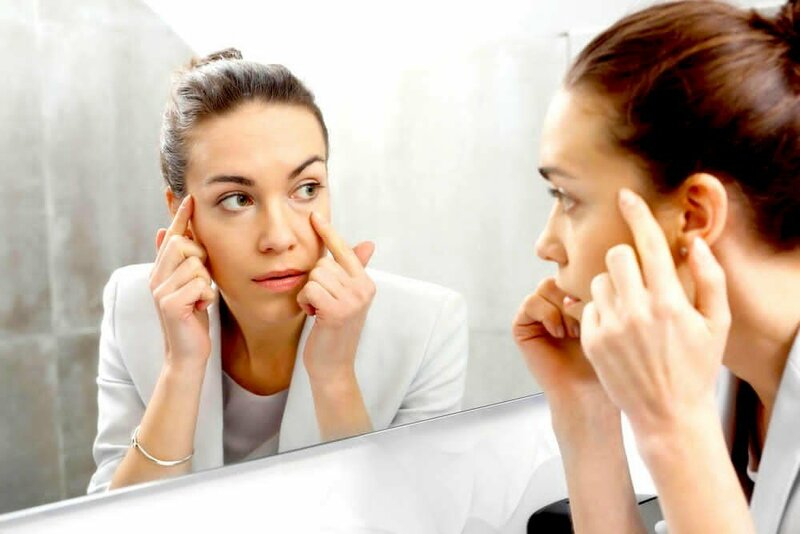 If you’re genetically inclined to having dark circles, you may end up noticing this skin flaw more frequently or at a younger age. Sun exposure can also cause pigmentation and saggy bags under the eyes. That’s because the harsh UV rays of the sun penetrate through the outer layers of the skin and destroy the delicate cells underneath. Seasonal allergies, colds, and sinus infections lead to a concentration of fluids in your face. And, these fluids are more likely to collect in the thinner skin around the eyes. If you’ve been crying, that could also add to the problem. Inadequate sleep and the stress resulting from fatigue lowers the blood supply, oxygen, and nutrients to the area around the eyes. As a result, the skin loses its elasticity and starts to sag and form bags. A diet high in sodium can cause water retention in your body. 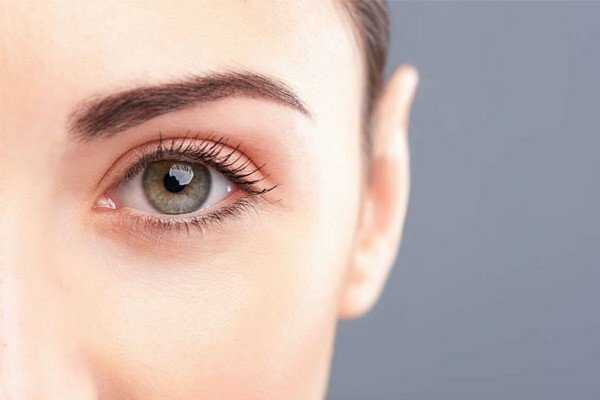 Given that the skin under the eyes is thinner than other areas of the body, it is more likely to reflect the excess fluids. Compound the problem with weakened elasticity and your eyes may seem more baggy than usual. Sleeping with eye makeup on can irritate your eyes making them water. As a result, you might notice redness and puffiness. Smoking constricts the blood vessels in the skin so it receives less of nutrients and starts to show signs of damage. PRP facials can revive the weakened layer of collagen and elastin in the skin. As the layer plumps up creating more cells, you’ll notice the hollowness filling in and the skin smoothening out. PRP can create more blood vessels in the skin. With fresh oxygen and nutrients reaching the skin, it starts to rejuvenate and get back its lost glow. That’s how you see the dark circles gradually vanishing. The better blood supply and enhanced metabolism in the skin around the eyes works to clear away excess fluids and dead cells. As a result, the puffy appearance starts to settle. If the saggy look is because of unwanted fat cells, the improved metabolism brought about by PRP for dark circles can burn off the cells. Platelet Rich Plasma (PRP) therapy, also called “Vampire” or “Dracula” therapy makes use of your blood to extract a special serum. Doctors harvest a small 10 ml sample of your blood and spin it in a centrifugal device. After separating the red blood cells and white blood cells, they develop a concentration of plasma. This fluid is rich in platelets, growth factors, stem cells, cytokines, and other elements that heal both soft and hard tissues. Your dermatologist now injects the serum into the areas under the eyes. Depending on the healing abilities of your body and the severity of the issue, you may need 2 to 3 sessions of the PRP treatment scheduled at intervals of 2 to 4 weeks each. As clinical trials conducted by the NIH U.S. Library of Medicine show, patients noticed a gradual change in the skin tone around the eyes beginning at 1 week after the session. As for effectiveness, you can also expect that the positive results will last for up to 6 to 12 months depending on your age. Try getting PRP for dark circles and within a few days, you’ll start to see marked improvements in your overall appearance. Reverse the skin flaws and look younger, radiant, and glamorous. Have you been dealing with the skin issues like signs of aging, acne scars, injury marks, or any other? Would you like to get PRP and regain beautiful skin? Contact us and we’ll get back to you with all the information you need. You can also call us at (888) 981-9516. 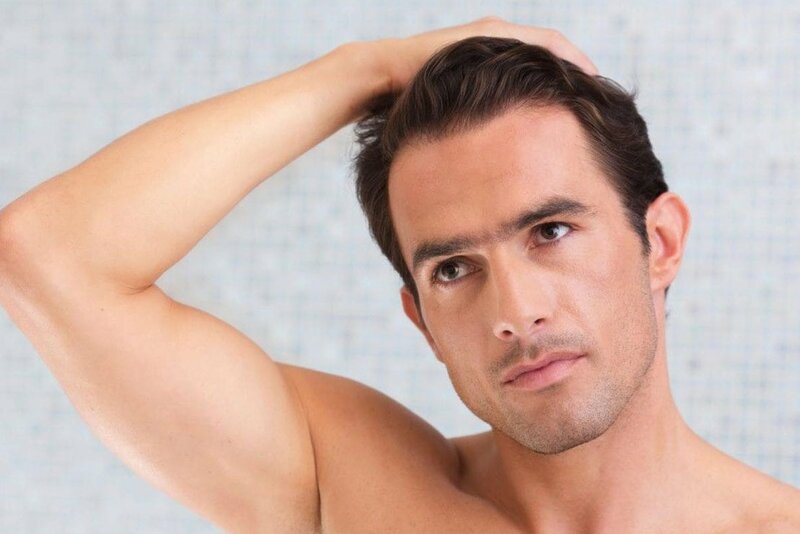 Have you tried PRP therapy before for any of your cosmetic or medical issues? Did you get the results you were looking for? Please share your experiences using the comment box below. Our readers would love to hear from you.